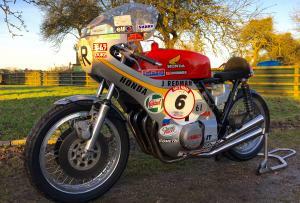 6 Times World Champion MBE Jim Redman’s Racing 1972 Honda CR750. 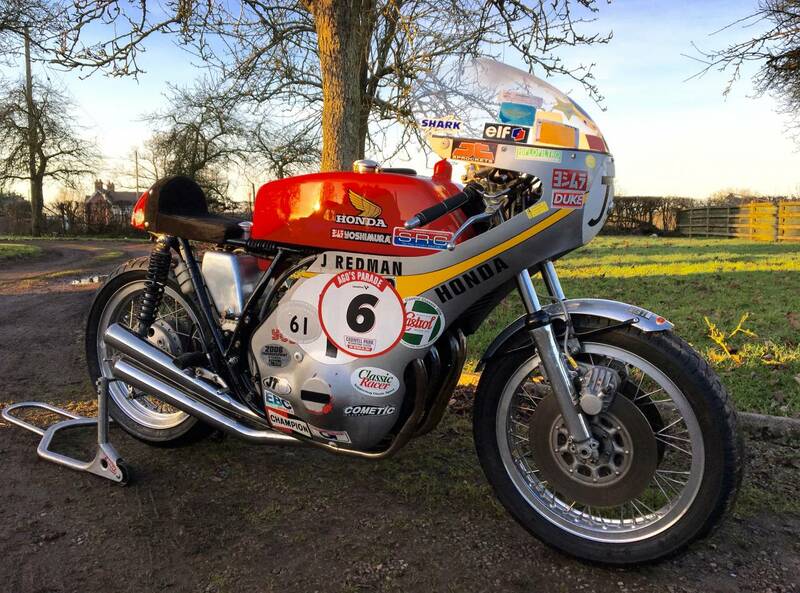 This Very Special Racing Machine Has Been Raced For The Last 17 Years by Mr Jim Redman 6 Times World Champion and 6 Times TT champion. With 46 Grand Prix Wins and 97 Podiums. He Was Also The First Rider To Achieve 3 Grand Prix Wins In One Day! 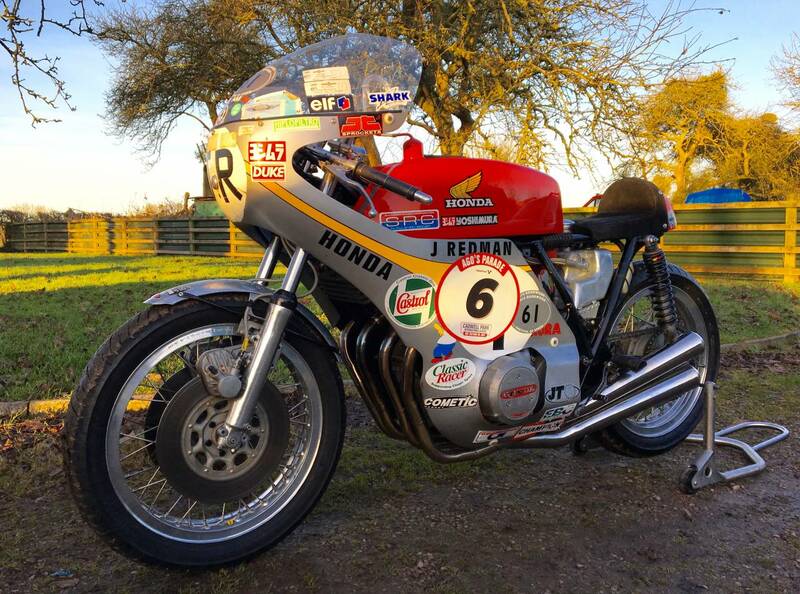 And Beat Mike Hailwood More Times In GP Racing Than He Beat Him. In Top Condition As Has To Under Go Scrutiny Every Time It Went On The Track. Comes With V5C Log Book And Lots Of Paper Work Books And Magazines Along With Trophies. It Has Been To All Major Circuits In Europe, Ireland, England, Also Has Been to Goodwood twice. Fully Rebuilt To CR Race Spec From A CB750; Maintained And Campaigned By Clive Brooker, Then Borrowed By Jim When His Bike Didn't Turn Up, Then Raced And Paraded By Jim , Until Recently , At Many Famous Circuits , Over The Last 17 Years , Winning All The Trophies And Having Many Articles Written About It , As Shown In The Photos And Video . If you are interested in this bike, please contact us on 07932 577377 (9am to 5pm Monday to Friday) or by email. Viewings are welcome by appointment (Monday to Saturday) at our facilities in Gloucestershire.